is cloudy instead of clear. Vision could be hampered to the extent that cataract surgery may be required for removal of your child's natural lens (that is, the cataract). When Should My Child Have Cataract Surgery? Opinions vary about when cataract surgery should be performed on an infant, because of concerns about complications such as development of high eye pressure that could lead to secondary glaucoma. High IOP can occur if cataract surgery damages the fluid outflow structure (trabecular meshwork) inside the eye. Also, the use of anesthesia for surgery involving very young infants can be cause for safety concerns. Congenital cataracts can be dense, milky white opacities in the lens of an infant's eye(s) that prevent normal visual development if not removed. On the other hand, cataract surgery may need to be performed as soon as possible to ensure that vision is clear enough to allow normal development of your baby's vision system. Some experts say the optimal time to intervene and remove a visually significant congenital cataract from an infant's eye is between the ages of 6 weeks and 3 months. If your baby has a congenital cataract, discuss any concerns you have about timing of cataract surgery with your eye surgeon. 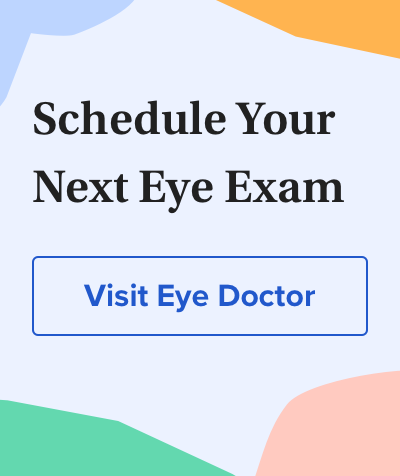 Once the cataract is removed, it is absolutely vital that your child's eye be corrected with a surgically implanted lens (intraocular lens), contact lens or eyeglasses. Without vision correction following cataract surgery, the eye will have poor vision, and normal infant vision development will be impeded. In some cases, contact lenses fitted on the eye's surface (cornea) may be used to help restore vision after the natural lens is removed during cataract surgery. Also, eyeglasses may be prescribed to aid vision in lieu of an inserted artificial lens or contact lens. If the eye surgeon recommends contact lenses after congenital cataract surgery, typically extended wear contacts will be prescribed to simplify contact lens care and handling. You will receive training from your eye doctor or a member of his or her staff on how to apply and remove your child's contacts. Often, this can be done while your infant or very young child is sleeping. As an example, tetracycline antibiotics used to treat infections in pregnant women have been shown to cause cataracts in newborn babies. Congenital cataracts also can occur when, during pregnancy, the mother develops infections such as measles or rubella (the most common cause), rubeola, chicken pox, cytomegalovirus, herpes simplex, herpes zoster, poliomyelitis, influenza, Epstein-Barr virus, syphilis and toxoplasmosis. Older babies and children also can be diagnosed with cataracts, known as pediatric cataracts, for similar reasons. However, trauma associated with events such as a blow to the eye is the underlying cause in 40 percent of cases of cataracts in older children. In inherited and other forms of congenital cataracts, abnormalities may occur in the formation of proteins essential for maintaining transparency of the eye's natural lens. Cerulean cataracts usually are found in both eyes of infants and are distinguished by small, bluish dots in the lens. Typically, this type of cataract does not cause vision problems. Cerulean cataracts appear to be associated with inherited tendencies. Without early intervention, congenital cataracts cause "lazy eye" or amblyopia. This condition then can lead to other eye problems such as nystagmus, strabismus and inability to fix a gaze upon objects. Such problems can profoundly impact learning ability, personality and even appearance, ultimately affecting a child's entire life. For these and many other reasons, make sure your child's eyes are examined regularly and as soon as possible after your baby is born. *Congenital and juvenile cataracts. <em>Ophthalmology, 3rd ed</em>. 2008.<br> **Pediatric cataracts.<em> Textbook of Family Practice, 7th ed.</em> 2007.